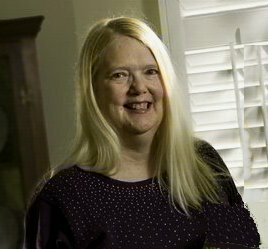 Nancy Pistorius has been a freelance writer from the time she could hold a pen, winning national awards for her poetry, fiction, and essays in grade school and high school, including the CHICAGO TRIBUNE Voice of Youth Award. She earned a Master’s Degree in English/Literature from the University of Illinois and also attended schools in Florida and England (London), but has been a resident of Lawrence, Kansas for more than seventeen years. Still, she doesn’t agree with fellow Kansan Dorothy that “there’s no place like home,” because she’d rather be out exploring the whole wide World, and writing about it! Nancy has published fiction, poetry, essays, and feature articles in more than seventy-five different literary and mass-market publications including WOMAN’S DAY, COSMOPOLITAN, CHICAGO TRIBUNE, LAWRENCE JOURNAL-WORLD, ILLINOIS TIMES, SPRINGFIELD’S OWN, SEASONS, STATE JOURNAL-REGISTER, SOCIAL, TRAVELWORLD INTERNATIONAL, SPRINGFIELD PARENT, NORTHWOODS JOURNAL, PIEDMONT LITERARY REVIEW, and THE NEW KENT QUARTERLY. She currently writes regular feature articles for several different newspapers, magazines, and online publications. While in Illinois, she was editor of SPOON RIVER LITERARY REVIEW, and a member of the women’s poetry group, BRAINCHILD. Her most recent honor was the 2009 Langston Hughes Creative Writing Award (Fiction). Follow her “Writing in the Left-Hand Lane” blog, “Like” her on FaceBook for more writing tips, follow her tweets, and read her Examiner travel stories. You can read her most recent stories at her website, http://www.nancypistorius.com.